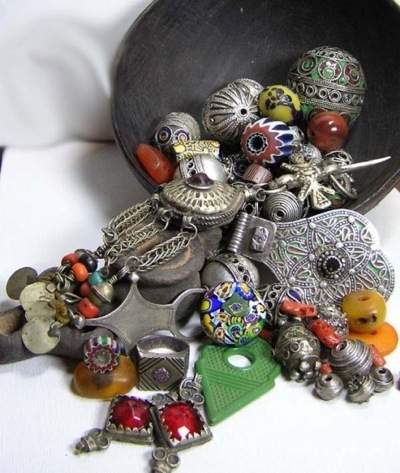 Excitement awaits you on a Trade Bead & Moroccan Jewelry Treasure Hunting Tour Hosted by Travel Exploration and North African Jewelry Expert, Sarah Corbett. 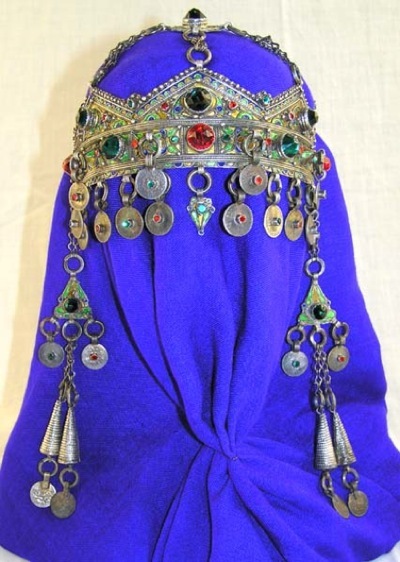 Come join us on a Morocco Tour Adventure that covers the Imperial City of Marrakech, the seaside artist colony of Essaouira and Southern Morocco’s hotspots: Tiznit, Taradount, Agdz, Zagora and Ouarzazate for bead making and treasure hunting for best antique amber and Berber silver jewelry in all of Morocco. Travel Exploration specializes in tailor-made Morocco Tours with a distinctly authentic Moroccan flavor. 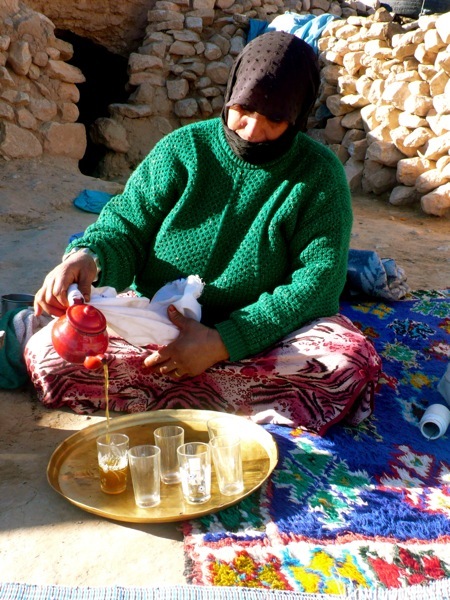 Travel Exploration Morocco provides unique itineraries that offer an unparalleled diversity of travel and terrain through a people that are naturally hospitable, warm and friendly. You can count on Travel Exploration’s benefits of an Anglo-Moroccan partnership as you depart on a Trade Bead & Moroccan Jewelry Treasure Hunting Tour. This Morocco Tour is an exclusive of Travel Exploration and created by Director, Alecia Cohen & North African Jewelry Expert, Sarah Corbett. ►Airport arrivals, visit of Djemma El Fna Square and the Souks. ►Check into your Riad. Afternoon treasure hunting in the heart of Marrakech. ►Welcome dinner gathering at Le Maison Arabe – Moroccan food and Andalucian, Arabic music. ►Spend the night at a 4 Star Riad in Marrakech. ►Visit the 19th Century Bahia Palace, originally built for Si Moussa, a former slave who became King Moulay Hassan’s chamberlain. The palace holds a courtyard and riads decorated with and the most beautiful carved stucco, Arabic architecture. Next visit the 16th Century Saadian Tombs and El Mansour mosque. Marrakech is a city of underground channels built by the architects from Cordoba, Spain to provide water for the town and Palmery. ►Your guide will lead you through the labyrinth streets and alleys of the Djemma. Enjoy aromatic smells, taste fresh squeezed orange juice and venture into the souks specializing in Berber carpets, silver jewelry, artisan workshops, handmade shoes and tanneries. Enjoy a three- course lunch consisting of fresh salad, tajine and fruit at one of Marrakech most delectable restaurants. Lunch after mid-day. ►Afternoon treasure hunting and jewelry shopping in the Souks of Marrakech. 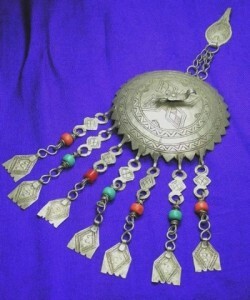 Evening viewing of Moroccan Jewelry pieces at your Riad by a local Tuareg Trader in Marrakech. Enjoy a private two- hour viewing of fabulous beads, jewels and local silver pieces available for purchase and historical discussion about the origin and meaning of these pieces. ►Breakfast at your Riad in Marrakech. ►Next we will visit the Tiskiwin Museum, a private museum dedicated to popular arts & crafts, styled as a beautiful Spanish-Moroccan house, next door to Dar Si Said palace, a smaller version of the Bahia. ►Departure for Essaouira in the early afternoon. Lunch en route to Essaouria. ►Witness the Argan goats in trees nestling in to eat away at the Argan nuts which are typically used in making Argan Oil, Butter and Cosmetics. Stop at Chichoa en route. ►Arrive in Essaouira. Check into your Hotel. Take a stroll along the town’s sunlit pedestrian main square, Place Prince Moulay el Hassan and the Skala du Port, the ﬁshing harbor, offers breathtaking views of the Portuguese ramparts. Explore the ramparts and the old medina. The medina of Essaouira (formerly “Mogador”) is a UNESCO World Heritage listed city, as an example of a late-18th century fortiﬁed town. Evening walk along the Ramparts by the sea. ►Dinner at Taros or El Mer, Essaouira’s top eats with sea views and fresh fish. ►Spend the night at a 4 Star Hotel in Essaouira with views of the sea. ▶Rise, breakfast at your Hotel. ▶ Have lunch at the ﬁsh-grill cafes, with wooden tables and benches laid out overlooking the sea that was once- in the 19th century- the onlyMoroccan port south of Tangier. After lunch take a relaxing walk on the beach in Essaouira. ▶Depart Essaouira in mid afternoon and drive up the coast passing the seaside Berber city of Agadir with an evening arrival in Tiznit. ▶Dinner at your hotel in the center of Tiznit. ►Spend the night at a 4 Star Hotel in Tiznit. ►Rise, have breakfast at your Hotel in Tiznit. 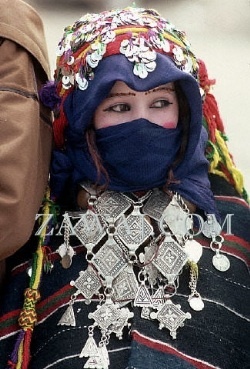 ►Tiznit is a town in the southern Moroccan economic region of Sous-Massa- Draa founded in 1881 by the Sultan Hassan I. It has a population of approximately 50,000. 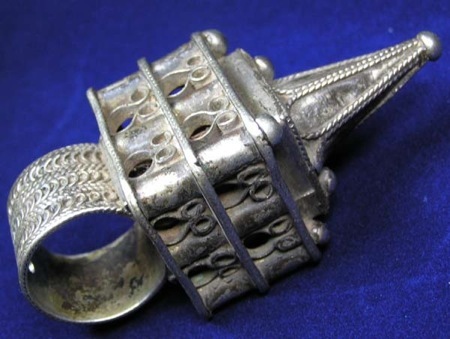 Tiznit is well-known for its silver jewelry, daggers and sabres. ►Spend half-day visiting the Jewelry Souk in the center of Tiznit and a a journey to Bab Lakhmis Ait M’hamid where you will have access to and study the variety of kinds of Southen Moroccan and Mauranitian beads and jewelry. You will also be able to make purchases there to add to your collection. ►Have lunch near Tiznit 20 kilometers by the sea, then take the road to Taradount. ►Arrive in Taroudant. Arrive and check into your traditional Moroccan Riad in a bungalow, located inside an interior of a garden. Evening relaxation by the pool. 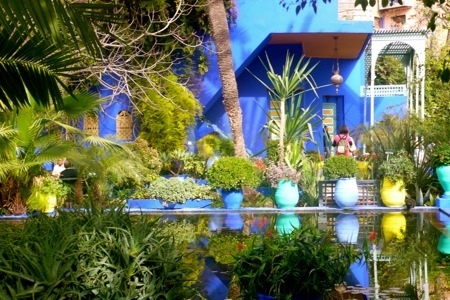 ►Dinner and Spend the night at a 4 Star Riad in Taradount. ►Rise, have breakfast at your Riad, then begin your exploration of Taroudaunt. ►Taroudant is a Moroccan city located in the Souss Valley in the southern part of the country. It is situated east from Agadir on the road to Ouarzazate and south from Marrakech. It has the feel of a small fortified market town on some caravan route. It is also known for its local crafts like jewelry and carpets. Taroudant is often referred to as the “Grandmother of Marrakech” because it is a scaled down, slowed down town that resembles Marrakech with its surrounding ramparts. Unlike Marrakech, Taroudant contains almost the whole city within its walls. ►Visit the old medinas’ ramparts with a guided two-hour tour then spend the rest of the afternoon exploring the souk of Taradount and treasure hunting in its shops that are filled with antique silver, beads and shaded alleys occupied by gentle craftsman and shop owners. ►Rise, have breakfast at your Riad in Taradount then take the road to spend an entire day watching the Bead-making Process, rare demonstrations of Bead-making traditions. Lunch during your Bead-Making workshop. During your workshop you will have the opportunity to witness a demo of three different styles of bead making. 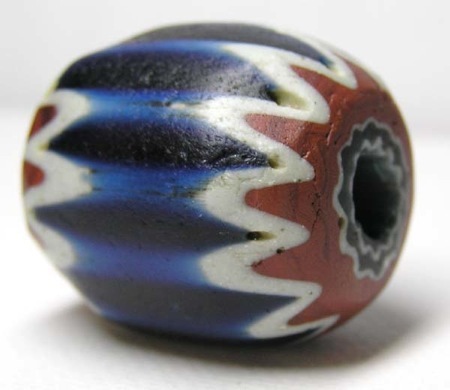 Bead making enthusiasts will enjoy this demonstration as it will enable them to view how old traditions are still be practiced, produced and carried on in Morocco. 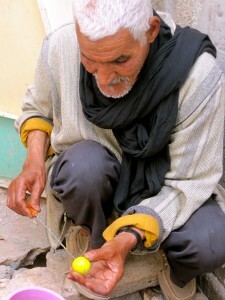 Some of these traditions include utilizing couscous and other original Moroccan traditions to create beads. 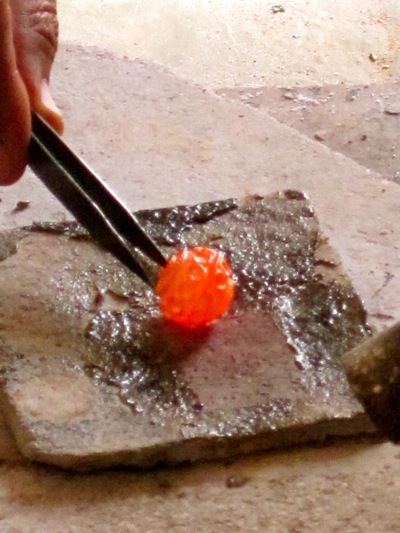 Travel Exploration Morocco was the first agency to record this “rare” bead-making process and your group will be second to experience it first hand. 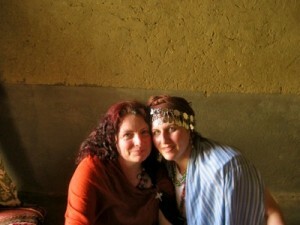 ►Lunch in Taroudant at La Valla, a local restaurant in Taradount or at the Bead-Making workshop. After lunch continue Moroccan Bead and Jewelry Treasure Hunting or return to your Riad to relax for the evening. ►Breakfast at your Riad. Then spend take the road to Agdz. ►En route to Agdz, you will stop at the Taliouine Saffron Cooperative. Taliouine is the traditional area of cultivation of saffron in Morocco and has been for hundreds of years. The Taliouine Souktana cooperative is on the road to Taroudant, in the village of Taliouine, in the heart of Sirwa Mountains. 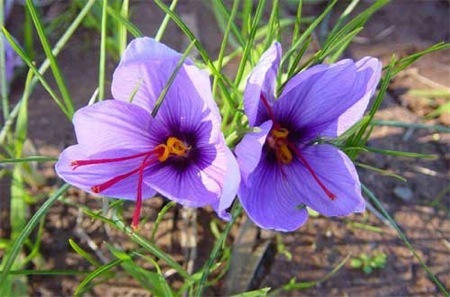 The Taliouine Cooperative sells only a truly biological saffron, cultivated according the traditional ways, with natural fertilizers . The mountains dry climate is ideal for such a culture. ►After visiting the Taliouine Saffron Cooperative , continue the road to Agdz. ►Arrive in Agdz and visit a local, traditional Moroccan small shop that is famous for its antique beads such as amber, coral, copal and also offers up a fantastic array of antique silver Moroccan Jewelry. After treasure hunting in Agdz, continue the road to Agdz center. ►Dinner and Spend the night at a beautiful 4 Star Kasbah Riad in Agdz. ►Then explore and tour the village by foot. Walk in the green fields and see how the traditional Berbers live with their gardens of herbs, live stock, and henna plants. ►Dinner and Spend the night at a 4 Star Riad located within the Palmary of old Zagora. ►Breakfast at your Riad in the Zagora Sahara, then begin your visit of Zagora, a Saharan desert town in the southern Draa Valley. Zagora is favored by travelers for its desert dunes, palms, 45 varieties of dates and its Hollywood sunset mountain backdrops. Take the road by pise (windy road) to discover the land where caravans once transported sugar, tea, dates and other dry goods to Ouarzazate. 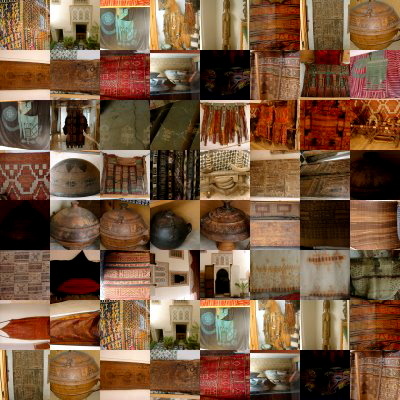 ►You will enjoy a workshop lead by Tamagroute pottery masters whereby you will learn how the pottery unique to this region of Zagora is made. You will learn the history as well as their local techniques. An English translator will be provided along with all necessary materials for you to make your own Tamagroute pottery. Everything you make you will be able to keep. Next, visit the village of Amzrou, Zagora and it’s old Jewish Mellah. 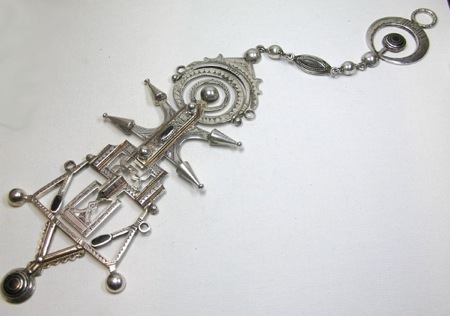 See how silversmiths work to make hand made silver fibulas and Southern Crosses. Watch how molds are made from scratch, then how the Sahara’s sand is used to bind the molds for creating jewelry. The silver smiths in Amzrou were taught their craft by the Jews who inhabited this village in the 1950’s. Before they fled to Israel, they left a long history of craftsmanship along with the land to continue their silver making jewelry tradition. There will be an opportunity for bead buying, silver buying and also for purchasing of old artifacts. ►After exploring Amzrou, take the road to Ouarzazte. ►Spend the night in a 4 Star Charming Riad in Ouarzazate. ►“See Ouarzazate and die” are feelings often expressed by Moroccans with regards to this magical city that is the door to the Sahara desert. Located just four hours from Marrakech, Ouarzazate is the main Berber city in the south known for its spectacular sunsets and dramatic mountain and desert scenery. Surrounded by breathtaking valleys, Ouarzazate was once crossing point for African traders seeking to reach northern cities in Morocco and Europe. During the French period, Ouarzazate expanded considerably as a garrison town and became the administrative centre of the Zagora region. Ouarzazate became famous when it’s nearby Kasbah; Aït Benhaddou appeared in the 1962 film Lawrence of Arabia. ►Take the windy road by piste visit the Oasis of Fint passing the “Plateau de pierres“. Journey on a one-hour walk inside the Oasis where you will have a cup of tea with the headmasters family Azziz Ouaziz and tour the surrounding area where date palm oases and dramaticdesert scenery are king. ► Then take the road to Ait Benhaddou. 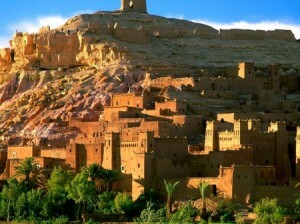 Located 32 km from Ouarzazate lies the picturesque village. Aït Benhaddou of Aït Benhaddou is situated in Souss-Massa Draa on a hill along the Ouarzazate River. Lawrence of Arabia was filmed here and Orson Welles used it as a location for Sodome and Gomorrah; and for Jesus of Nazareth the whole lower part of the village was rebuilt. In recent years more controlled restoration has been carried out under UNESCO auspices. Aït Benhaddou is one of many locations in this region used for shooting Hollywood films. Aït Benhaddou which once served as the former caravan route between the Sahara and Marrakech in present-day Morocco. Most of the town’s inhabitants now live in a more modern village at the other side of the river; ten families however still live within the ksar. ►Your guide will lead you on a private tour through this Berber village of towered and crenulated Kasbahs that once guarded the lucrative caravan route through the Atlas Mountains. Explore the Kasbahs by foot with the option to ride a donkey across a river. Aït Benhaddou which once served as the former caravan route between the Sahara and Marrakech in present-day Morocco. Most of the town’s inhabitants now live in a more modern village at the other side of the river; ten families however still live within the ksar. ►Enjoy lunch at a Kasbah that overlooks Ait Benhaddou. Next, visit Kasbah Taouirirt. Kasbah Taorirt was built by the Glaoui. Its location was strategic for trading routes and in the 1930’s when the Glaoui ruled the South it was then one of Morocco’s largest Kasbahs. Explore Kasbah Taouirirt’s nooks and crannies and discover some local female painters who sell their art inside as well as the many quality silver shops just steps outside the Kasbah. 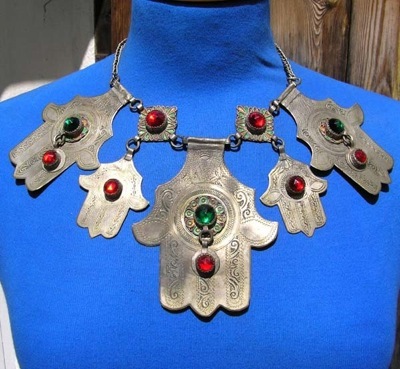 ►Spend the afternoon jewelry shopping in Ouarzazate. Discover treasure hunting in this calm, oasis of Southern Morocco that was originally an administrative center during the French Protectuate. 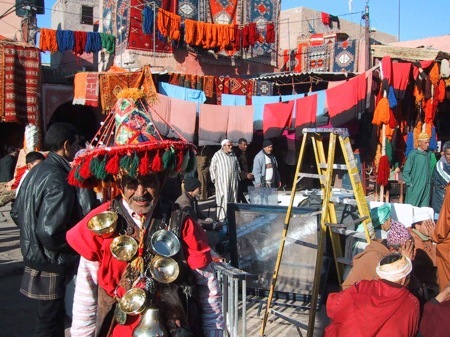 Discover jewelry just outside Kasbah Taouirt and in the old market alongside the smells of Berber Amber and Musk. ►Dinner at La Kasbah Des Sables in Ouarzazate. Le Kasbah Des Sables is a gastronomic experience with a menu that combines the cuisine of Fes, Meknes, Tangier, Arab and Berber with first class fare. This restaurant offers a museum- quality atmosphere as its’ decor has been hand stitched together and is filled with Berber, Morocco traditional furniture and art that was hand crafted by local artisans in the Ouarzazate region. Each section of the restaurant offers an intimate environment and the opportunity to eat on tables that are hand painted and adorned with silver fibulas, Amber and other regional jewels. ►Rise, have breakfast at your Riad and then take the road to Marrakech. ►During your journey to Marrakech you will also pass the olive groves of the Oued Zat, as you ascend onto the Tizi-N-Tichka Pass Road. Built by the French in the 1920’s, the Tizi-N-Tichka Pass can be described as having mountainous barriers, Mediterranean and oceanic influences and desert borders. long the route you will see panoramic views of the High Atlas Mountains as well as sights of fertile valleys, blue and red colored pise villages and other striking mineral environments. ▶En route you will go by piste to visit Kasbah Telout, one of Morocco’s hidden jewels and a famous Kasbahs that is the origin of the Pacha Glaoui Family. Kasbah Telout is hidden among a tiny road in a small village that is 20 minutes outside Tichka. It’s history stands alone with its original zellij tile, authentic, preserved silks and grand remnants of the Glaou family. Unlike the other Kasbahs in Southern Morocco, Telout was occupied by the Glaoui’s instead of the slaves and has stunning views. This Kasbahs has yet to be coined a UNESCO World Heritage site and while it appears in parts to be in ruins on the exterior, its interior is one of true splendor. ►Spend the night at 4 Star Riad in Marrakech. ►Rise early, breakfast at your Riad. Free Day to Shop the Souks of Marrakech for the special Moroccan Beads and Jewelry you missed out on the first time around. ►Sarah Corbett is available by arrangement for morning shopping guidance. ▶Breakfast at your Riad. Departure from Marrakech’s Menara Airport. 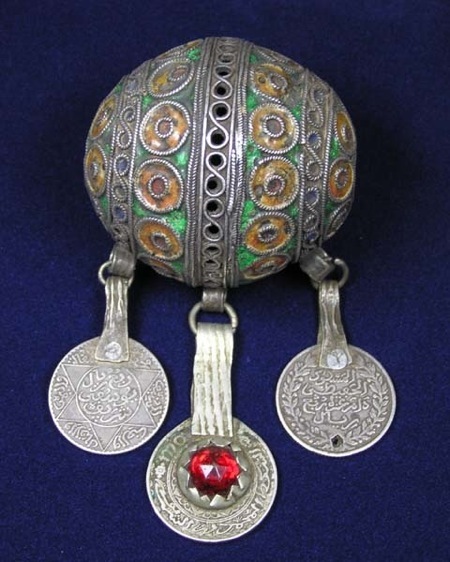 You are currently browsing the archives for the Berber Silver Jewelry category.